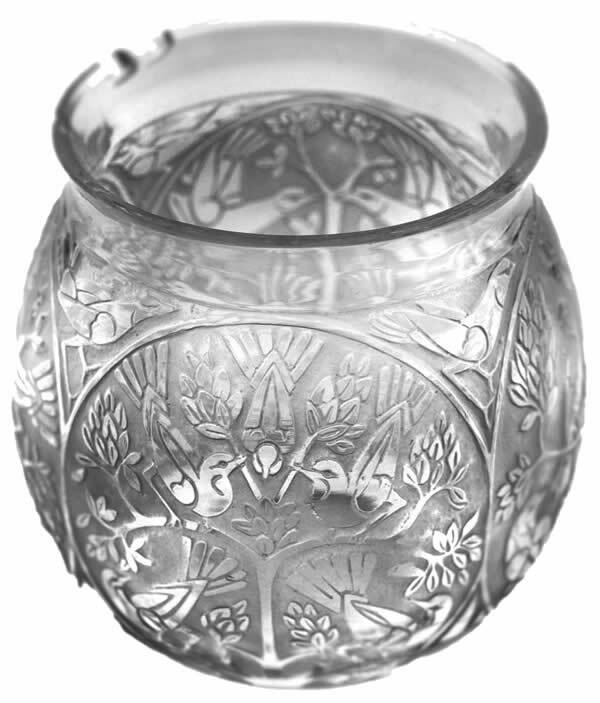 Rene Lalique Vase Teheran: A re-offer from March 20, 2019. Same Lot No. new Est. $400 - $800. 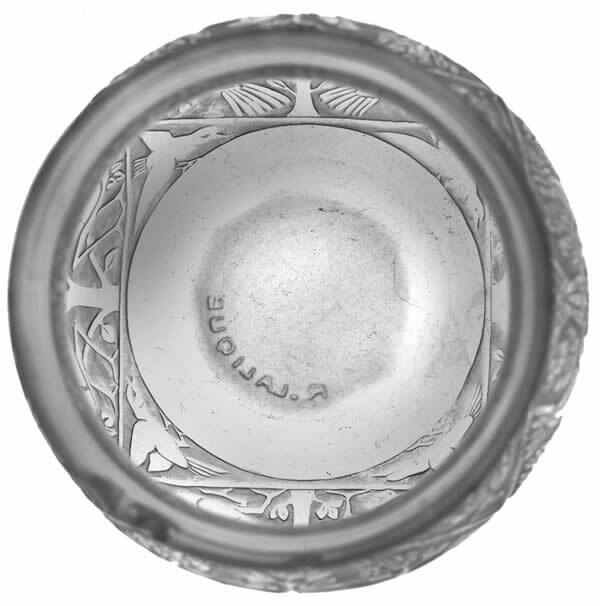 Also it looks like most or all of the R. Lalique lots from March are re-offered. Mixed in with some modern stuff, you can see them all HERE! 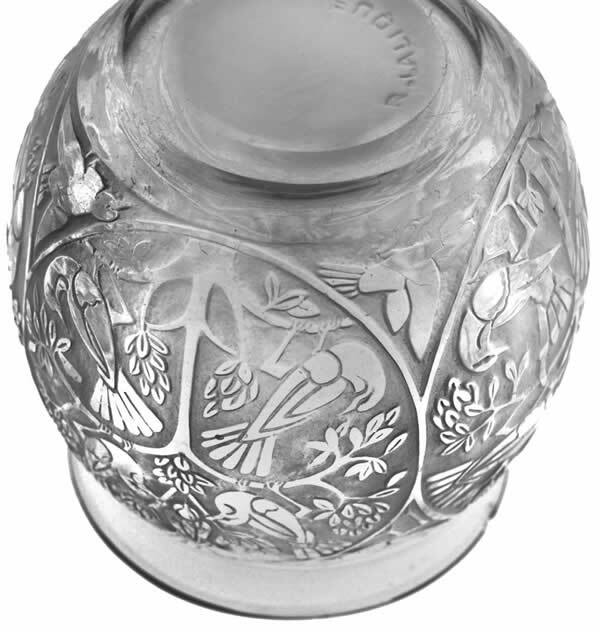 2 and 3/4 inches tall birds in foliage motif R. Lalique Glass Vase with rim chip as shown. Lot No. 177 Est: $400 - $600.